Picture Book Monday - A review of Martha, No! When my daughter was little, I seemed to spend a large proportion of my time telling her "NO!" Occasionally she paid attention to me. More often she didn't. Today picture book title was of course written for children, but it will also appeal to parents, teachers, and other people who have little children in their lives. If you say "No" a lot to a child on a daily basis, this book will surely make you smile. Today Martha Felicity Molly-Anne May is going to meet her “sparkling new nanny.” Miss Harrington-Chive is going to take care of Martha for the day, and she is confident that she and Martha will do just fine. After all, Nanny has looked after “hundreds of children.” Nanny does not heed Mother’s warning about Martha’s tendency to scare nannies off, convinced that “angelic” Martha is going to be no problem at all. They are not out long before Nanny finds out that Martha is rather a handful. In the park she gets blown out of a sousaphone, in the museum she climbs the T. Rex, and at lunchtime she tries to spin pizza dough with disastrous results. One would think that a playground would be a safe place to take Martha, but Nanny soon finds out that it is not the case when Martha digs a tunnel from the sandpit into the middle of a busy street. Is this nanny going to throw in the towel just like all the other nannies did? Children are going to laugh out loud when they see what Martha does, and how she drives her new nanny to distraction. Here is a little girl who knows what she wants, and who is not afraid to do what she wants. Heaven help any adult who tries to tame her. With wonderfully amusing illustrations and a story that will resonate with children, this is a picture book that will become a firm favorite with young readers. I love words, which is why I spend five days a week writing, reading, and tinkering with them. I was therefore thrilled to find out that poet extraordinaire, Lee Bennett Hopkins, has put together a book of poems that celebrate words that are written and spoken. There are lots of books coming out these days that are about life on Earth in the future. Most are pretty grim, and some are downright depressing. I sometimes find it hard to read such titles because they are so dark. Today's fiction title is different from many of these futuristic books. Yes, we humans have mucked up the world, and yes the characters are struggling to survive. The difference is that in this story there is a message of hope. The main character is able to make a difference, and we are left with a sense that all is not lost. Not yet anyway. Many years ago, humans finally came to understand that their population was too large and no longer sustainable. They came up with an extraordinary solution to this problem: they decided that some of their number they would modify their bodies to that they could live in places that had hitherto not been populated by humans. Thus the Kampaii lived in the shallower oceans, the Deepfell lived in the deep oceans, the Aviars had wings and lived in the skies, and the Equian people had hooves and lived in the deserts. Life has been comfortable for the Coral Kampii, Aluna’s people, until now. Recently several of the Kampii have drowned because their shell necklaces, the tech devices that allow them to breathe underwater, have failed. When Aluna finds the body of her friend Makina floating in a kelp forest she gets furious. How can the Elders pretend that all is well? Someone needs to find out why the breathing necklaces are failing before all the Coral Kampii die. On the day when Aluna is supposed to get her tail, she decides that she cannot stand by while her people die. Someone has to go to the Above World to find out why the necklaces, which were made by HydroTek, are failing. With her best friend Hoku by her side, Aluna leaves the only world she knows to walk around on her feet, and to face the Upgraders, creatures whose bodies are made of machine parts and “parts” that were taken from other beings. Aluna and Hoku are not in the Above World long before they are captured by Aviars and taken to Skyfeather’s Landing, one of the Aviar strongholds. At first the Kampii teenagers are prisoners, but when they help defend the city from the Upgraders, Aluna and Hoku and the people of the air become allies. The Aviar have managed to free themselves from the stranglehold of Fathom, the Upgrader leader, and Aluna understands that her people will have to do the same. As long as Fathom is in control of the Hydrotek technology, her people will never be able to control their breathing necklaces and the other tech they depend on. With the blessing of the Aviars, Hoku and Aluna set off once more to try to find HydroTek and they meet Dash, an Equian teen. Since Dash is on his own, he joins Hoku and Aluna in their quest, standing by their sides when they are pursued by Upgraders. The three young people are then joined by Calli, an Avian that they made friends with when they were in Skyfeather’s Landing. Though they are all very different in temperament and personality, when they are together, the four teens are a force to be reckoned with. Aluna and Dash are excellent fighters, while Calli and Hoku are tech wizards. They do not know if they will be strong enough to defeat Fathom and the creatures he has made, but they have to try. This fascinating and beautifully written book will delight readers who have a fondness for books that are full of bizarre and otherworldly beings and creatures. Elements of fantasy and science fiction are combined with tense adventure sequences to give readers a memorable futuristic title. Readers will be interested to see how young people can change their world if they have the will and courage to defend what they know is right. This is the first title in what promises to be an exciting new series. Many of us spend much of our lives in perpetual motion. We are always on the go, always thinking about what we have to do next. As a result, we often don't appreciate the little things. We forget to look at, and to appreciate, the natural beauty around us. We take trees, flowers, birds, clouds, and the sun for granted. Today's picture book celebrates leaves. This may seem like a strange idea, after all leaves are everywhere. What's the big deal? The big deal is that leaves not only provide humans and animals with oxygen, food, and shelter; they also make our world beautiful. You may think that a leaf is a very ordinary everyday sort of thing. A thing that does not seem to do much, and that you can therefore afford to take for granted. You would be wrong to think this though, because leaves serve many purposes, and they change from season to season. In spring, leaves come out when “sunny days linger / and orioles sing.” They serve as a cradle for moth chrysalises, as a “food maker” for trees, and as a rain shelter for animals. As the weather warms, leaves give us shade, and many animals eat them. Leaves make the air cleaner and the Earth greener. In the fall, leaves turn gold, brown, red, and yellow and they start falling off the trees. Their colors make our world beautiful, and when they fall to the ground they provide animals with a place to hide. Some animals use the fallen leaves to make their nests. With a beautiful lyrical text this picture book shows readers of all ages how precious leaves are. The gorgeous illustrations are so soft and beautiful that one wishes one could dive into them. The author provides readers with more information about leaves at the back of the book, and a glossary explains what some of the words used in the text mean. 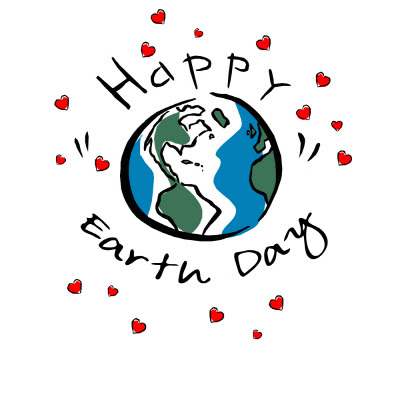 Happy Earth Day everyone. 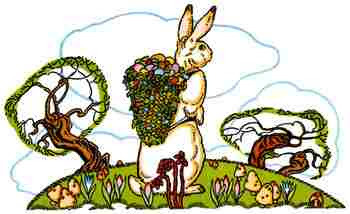 I hope you find lots of ways to 'be green' on this this special day. I know a lot of adults who don't like insects of any kind. Or spiders. Or snails and slugs. However, most children are fascinated by these little creatures. They keep beetles and snails as pets, and spend hours looking for insects and their relatives in yards and gardens. In today's poetry title we are going to visit a garden to see what kinds of little critters we can find. Does anyone have a jar and a butterfly net handy? Many years ago my mother bought me a used copy of Pippi Longstocking and I quickly fell in love with the quirky main character who was so very odd looking, and who did not seem to care about anyone's rules. Pippi was a law unto herself, and woe betide anyone who got in her way. Some books are wonderful when you are a child, but when you reread them as an adult they seem to have lost their spark. This book is the kind of book that will charm children and adults alike. I think this may, in part, be because both children and adults sometimes wish that they could be Pippi Longstocking. Wouldn't it be grand to be able to do whatever you want? Annika and her brother Tommy are terribly good children who always do as they are told, who are always clean, and who are wonderfully polite. They are also often bored and lonely. If only they had someone to play with. If only someone with children would move into the empty house next door. Then, one day, when they get back from a weekend away, the two children see that someone has moved in next door, and what a peculiar looking someone it is too. They see a little girl whose braids are so tight that they stand straight out from her head. Her dress is patched, and her shoes are enormous. It doesn't take them long to find that not only does the little girl look odd, but she also thinks, speaks and behaves oddly as well. What Annika and Tommy soon determine is that the little girl, Pippi Longstocking, is a most unusual and quite delightful person. Soon Annika and Tommy are not the only ones to discover that Pippi is odd. Two tramps who think they can rob Pippi because she lives alone with only a monkey and a horse for company, quickly come to the conclusion that she is not an easy mark. A busybody trying to get Pippi to go to a children's home gives up, and as for making Pippi go to school – well, suffice it to say that one day with Pippi in the class is more than enough for the class teacher. Pippi's deliciously funny tall tales, her generous spirit, her outrageous ideas and behaviour, and the little flashes that she lets us see of her inner self, all come together to make this a classic tale that has delighted children for decades. Though she is incredibly strong, independent and wilful, Pippi is also a motherless and fatherless child who at times mourns her parentless state, and she recognizes that she doesn't quite fit in. Her vulnerability makes us love her all the more because we see a bit of ourselves in her. We see that she is seeking love and a sense of belonging. Picture Book Monday - A review of I don't want to be a pea! Sometimes even the best of friends can squabble, and often it is over the silliest of things. In today's picture book you will meet two friends who find out that their friendship is truly a precious thing. Hugo the hippo likes to think that Bella is his bird, and Bella the bird likes to think that Hugo is her hippo. Irrespective of who ‘belongs’ to whom, the bottom line is that the two animals are friends. Tonight is the night when Hugo and Bella are going to the Hippo-Bird (or Bird-Hippo) Fairy-Tale Fancy Dress Party, and the friends need to decide what kind of costumes they are going to wear. Hugo wants to go as the Princess and the Pea, but Bella has no interest in dressing up as a pea. In her opinion a pea is “too green and small.” Instead, Bella would like to be dressed up as a mermaid and Hugo can be the rock that she sits on. Bella thinks that Hugo looks just like a “gray and blobby” rock. The two friends start squabbling in earnest, unable to agree about their costumes, until both animals walk off in a huff. Both Bella and Hugo decide that they don’t want to go to the party together. It is only when they are alone that they both realize that being alone might not be such a good thing after all. Best friends fight sometimes, and when they do, the resulting situation can be very distressing. Often the fight’s cause is quite silly, but that does not matter in the slightest. All that matters is that the friends cannot seem to agree. In this wonderfully simple, sweet, and funny picture book, the author and illustrator have created a story that will resonate with readers of all ages. All of us fight with our best friends sometimes, and all of us sometimes need to remember that it is far better to reach a compromise than it is to be without a friend. 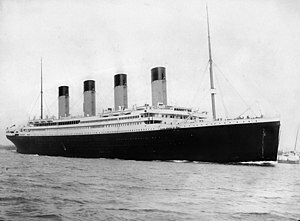 In the early hours of the morning on April 15, 1912, The RMS Titanic, mortally wounded after it struck an iceberg, sank. 1,514 people died, and the world has been telling the story of the tragedy every since. Movies have been made about the event, and books have been written. Since the wreck of the Titanic was found in 1985, people have argued about whether it is acceptable to bring artifacts to the surface or whether they should remain on the seafloor. Though the last survivor of the tragedy has died, the stories of the victims and the survivors live on. Ever since I started reviewing books for young readers, I have been reading and reviewing books about the Titanic. You can see these titles on the TTLG Titanic Feature Page. One of my favorite titles, "Polar the Titanic Bear" is about a stuffed animal, a polar bear toy, that survived the tragedy. The story is told from the point of view of the bear, and it is interesting and, of course, very touching. Jazz is a music form that is fantastic to listen to and to play. There also great stories associated with this kind of music, stories about musicians, pieces of music, and the history of jazz. In today's poetry picture book, Walter Dean Myers uses incredible poems to tell us some of these stories, and to give us a feel for what jazz is about. Every so often I find that I need to read a book that is funny, wonderfully ridiculous, and highly improbable. A few years ago, the first Warrior Sheep title came out and I soon found out that it was all these things, and more. Today I have a review of the third book in this series to share with you. If you need a laugh, a grand adventure, amusing characters, and a happy ending, then this is the book for you. The five rare breed sheep, the Warrior Sheep, have had some pretty extraordinary adventures in the not too distant past, defeating villains who are a threat to sheepdom. At the moment, the five sheep are having a very peaceful time. Their owner, Ida White, has gone to Australia to visit her brother, and she has taken Todd, her grandson, with her. Since the sheep cannot go all the way to Australia, they are staying with Rose, Ida’s sister. Rose lives in Murkton-on-Sea, and the sheep are quite content, except for the sound. They keep hearing the sound of someone calling for help, someone who is in despair. It is very unsettling. Wills, the Balwen Welsh lamb, tries to convince himself that the sound is caused by the wind blowing in the rigging of the boats and yachts in the harbor, but then Sal, the Southdown ewe, starts to recite a section from the Songs of the Fleece. The “prophetic verses” tell of a Tuftella, a “sheeply maiden” who was kidnapped and taken “Down Under” where she was imprisoned in a tower. Sal is convinced that the sound they are hearing is Tuftella begging them to save her from her captors. Though they really have no idea how they are supposed to rescue Tuftella, the five sheep leave their pasture, and stow away on a yacht that is going Down Under. They convince themselves that the person who owns the yacht, Alice Barton, is their “fairy godtingy” and that she will help them succeed in their quest. In actual fact, Alice is a very unpleasant person indeed, one who is quite willing to throw the sheep overboard when she finds out that they are on her yacht. Thankfully, her crew members are more compassionate, and the sheep make it all the way to New Zealand in one piece. One would think that traveling so far hidden in the hold of a yacht would be more than enough of an adventure for five sheep, but this is just the beginning. Little do they know, but bungee jumping, white water rafting, crocodile wrangling and many other adventures lie in their future. In this third Warrior Sheep title, authors Christine and Christopher Russell take readers on yet another extraordinary adventure, and the five rare breed sheep prove once again that they are brave, resourceful, and incredibly lucky. Readers will find it hard not to laugh at the situations that the sheep encounter, and will appreciate the strange ways that the sheep interpret the words of their Songs of Fleece to fit what is happening to them. Over the years, I have read several of John Grisham's thrillers, and I have always enjoyed the way many of them are about lawyers who are challenged to solve problems in unique ways. I was therefore intrigued when I saw that John Grisham had written a mystery book for younger readers. Unlike the Nancy Drew and Hardy Boy books, which I loved when I was a kid, this story does not contain a lot of action and drama. This does not mean that there isn't any tension in the tale though, as you will see when you read the book for yourself. Both of Theodore Boone’s parents are lawyers, and one would think having two lawyers in the family (plus Uncle Ike, who is also a lawyer) would make Theo fed up with everything that has to do with the law. For some reason this is not the case. In fact, Theo is fascinated by every aspect of the law. When his eighth grade classmates are playing baseball and hanging out, Theo is at his parent’s office soaking up information about the law, or hobnobbing with judges and clerks at the courthouse. As far as Theo is concerned, becoming a lawyer is the only goal worth having. When the trial of a man accused of murdering his wife begins, Theo is eager to observe what it going on. His instincts tell him that the man, Mr. Duffy, is guilty, but even he has to admit that the evidence is thin and circumstantial. Theo cannot see how the prosecution can prove, beyond a reasonable doubt, that Mr. Duffy did indeed kill his wife. He certainly seemed to have a motive (a million dollars in life insurance money), and he could be said to have opportunity, but no one saw him at his home (the scene of the crime) at the right time, and there is no evidence that he was there when his wife was killed. Then a boy from San Salvador who Theo knows from school asks to speak to Theo. Everyone knows that Theo is a wiz when it comes to the law, and Julio wants Theo’s advice. Apparently Julio’s cousin, who is an illegal, saw Mr. Duffy going into his house at the time of the murder. He saw Mr. Duffy put on some gloves, which he later threw away in a garbage can. In short, it would appear that there was a witness who can place Mr. Duffy at his home when his wife was killed. The problem is that the witness does not want to come forward because he doesn’t want to be deported. Julio swears Theo to secrecy, but Theo knows that the secret is one he cannot keep. Somehow he has to convince the witness to come forward on his own, otherwise a guilty man could walk free. John Grisham is famous for writing very successful adult thrillers, and now he has created a thoroughly enjoyable novel for younger readers. Children who have a fondness for mysteries will find this book intriguing. The story is not fast paced with a lot of action and drama, but it is gripping all the same. There is a suggestion of danger that lies just beneath the surface, and readers will be eager to find out how Theo solves the problem that he is presented with. This is the first in what promises to be an excellent series for young mystery buffs. When I was a kid, I was always making things with my hands. The kitchen table had hard blobs of dried glue permanently attached to it because this was my favorite work space, and my hands were often blotched with ink from pens. Once I accidentally sewed a dress that I was making for Raggedy Anne to my own dress, and I was furious when I was told that I had to cut the doll dress free. Today's picture book is about a crafty little girl who finds out that being crafty can be very rewarding. Chloe is not very good at sports, and when it comes to dances lessons she has “the grace of a camel in roller skates.” There is one thing that she is good at though: Chloe is very good at making things. She can turn just about anything into a fantastic hand-made crafty creation, and she is really good at making clothes too. When Chloe is invited to Emma’s birthday party, she goes to the store to buy her what she hopes will be the perfect gift. She is just about to get Emma the new Flower Girl doll when London walks up and says that she is buying Emma the doll. Not knowing what else to say, Chloe says that she is going to make Emma a gift instead of buying one. Unfortunately, London is the kind of girl who does not appreciate hand-made gifts, and she makes it clear that she thinks Chloe’s gift is going to be a disaster. Though Chloe is so good at making things, in this instance she has no idea what to make for Emma. She gets so desperate that she even pretends that she is sick, for a while. Then Chloe’s mother mentions that Emma is going to have pony rides at her party. Chloe goes back to the drawing board, and then she gets to work. She has a present to make. There used to be a time when many presents were hand-made, and they were appreciated not only because the gifts were pretty or useful, but because the givers had spent a certain amount of time making them. These days very few people have the time or the inclination to make home-made gifts, which is rather a shame. In this excellent book, the author shows her young readers that a home-made gift is a precious thing, a one-of-a-kind present that is special because it was made with one person in mind. Through Chloe we see that people who make things with their hands put a part of themselves into what they make. Many children are interested in bees. The fact that these insects are social, and that they work together for the good of the hive sets them apart. In today's poetry picture book, Douglas Florian takes us into a bee hive to visit the queen, the workers, and the drones. He combines artwork, poems, and sections of informational text to give children a unique book experience. I am always looking for interesting new books that will appeal to children who are moving on from beginner readers to chapter books. The book I have reviewed below is an excellent example of a well-written chapter book, and it one in a series of stories about Mouse and her best friend Mole. I have been enjoying the titles in this series ever since they started coming out a few years ago, and I am always delighted when the author, Herbert Wong Yee, brings us a new book. Mole loves spring because spring is when the birds come back, and he is “simply mad about birds.” One blustery spring day, Mole and his best friend Mouse set off together to try to find some birds so that they can add new drawings to their “bird books.” At first, they cannot seem to find any birds, but when Mole uses his bird whistles, several birds turn up. Unfortunately, Mole has a habit of stepping on noisy things like dried leaves, and twigs, and the birds are always scared away. Mouse and Mole are going to have to take drastic measures if they want to be able to get close to some birds. 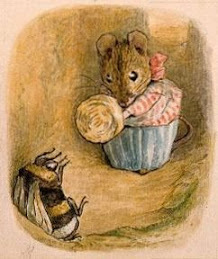 Early the next morning, Mouse comes to Mole’s house and the two friends get to work. Mouse’s plan sounds ridiculous, but Mole is willing to give it a try. Using pieces of fabric and glue, Mole and Mouse disguise themselves to look like birds. After all, birds aren’t afraid of birds, and if Mouse and Mole look like birds, then they should be able to get near their feathered friends. At least that is the theory. Who knows what will happen in practice. In this award winning book, Herbert Wong Yee tells a story that is funny and at the same time meaningful. Children will see how two friends are able to work as a team, despite their differences, and how, in the end, they create something special together. This is the fourth Mouse and Mole title. With its four short chapters, its charming illustrations, and its engaging story, this book is perfect for young children who are ready to read chapter books. People collect all kinds of things. My daughter collects panda paraphernalia. She has panda toys, pencils, bags, plates, and pictures. My husband loves maps, in particular ones of vineyards and wine regions. I collect books, of course. In today's picture book you are going to meet a very unusual little girl who collects words. Luna is a very special little girl who lives in a lighthouse in the clouds. In her spare time, she collects words the way “other people collect stamps.” She loves all kinds of words and delights in their sounds and meanings. After a sleepless night full of worry, the little girl decides that she has to do something. She cannot let all those wonderful words disappear for ever. She packs all her words in a big suitcase and sets off on a very special journey. Children who like words that sing and hop, words that are long and complicated, will love this very unique picture book. The text is incorporated into the delightful collage artwork so that Luna’s story dances across the pages. This book not only celebrates the written word, but it also explores the idea that sometimes giving away the things you love is even better than collecting them for yourself.